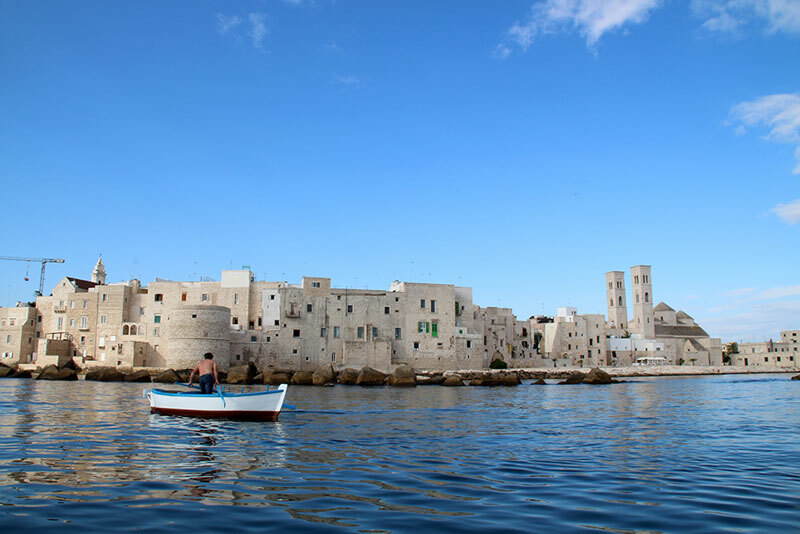 Pushing out from the land towards the sea, Molfetta is about 25 km from Bari, the capital of the province; one of the most populated municipalities of northern Bari with a population of around 60,000. 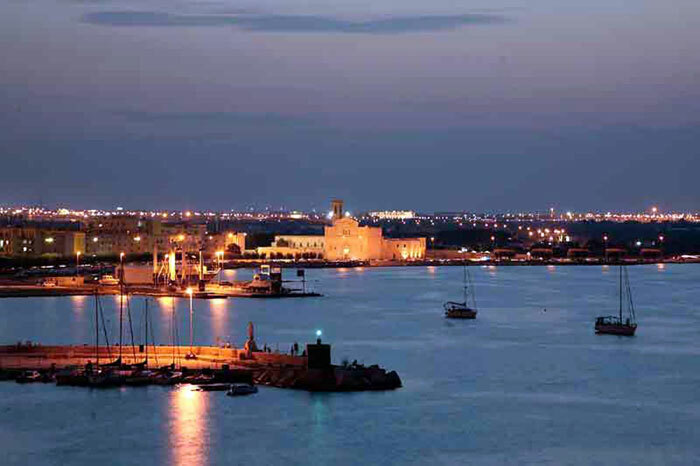 Over the last decade Molfetta has seen strong mainly urban development which has moved the boundaries of the town well outside those that can be seen in the old town centre. 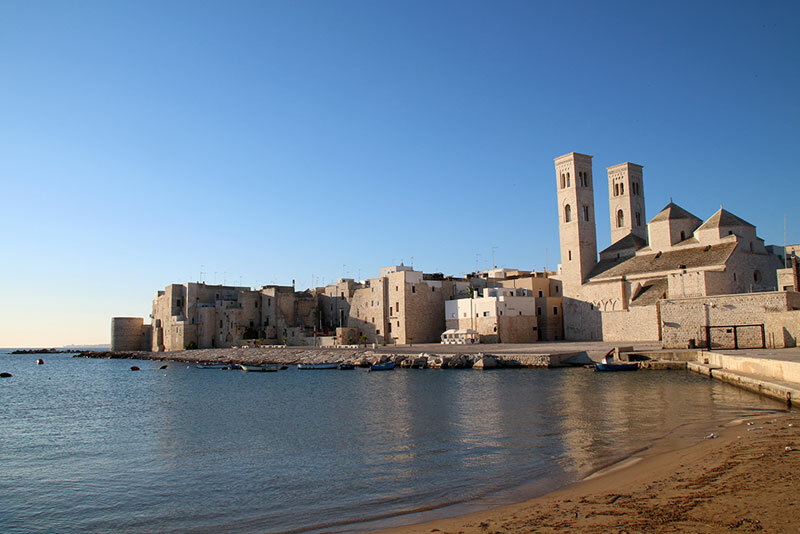 Here, in this place once known as “St Andrea's peninsula”, is where the first village grew up surviving on fishing and the barter of products with the other coastal and inland towns. 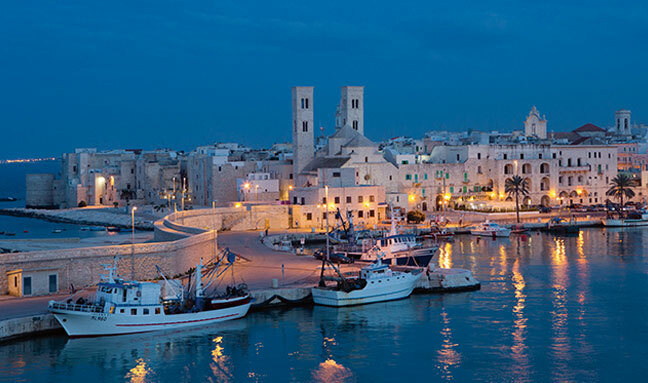 During the Middle Ages the initial nucleus of the town expanded with new buildings, churches (including the cathedral in an Apulian Romanesque style) and related courts, the enlargement of the harbour, towers, town hall, and piazzas which gradually brought the town's street network to take on its characteristic and unique herringbone structure. 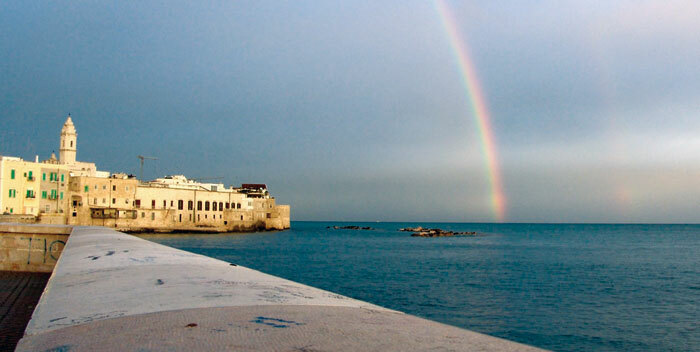 Over the course of the centuries the town has lived through an almost symbiotic rapport with the sea, considered as the source of life and sustenance but also the easiest way for invaders and rampaging enemies to reach and conquer Molfetta and its territory. 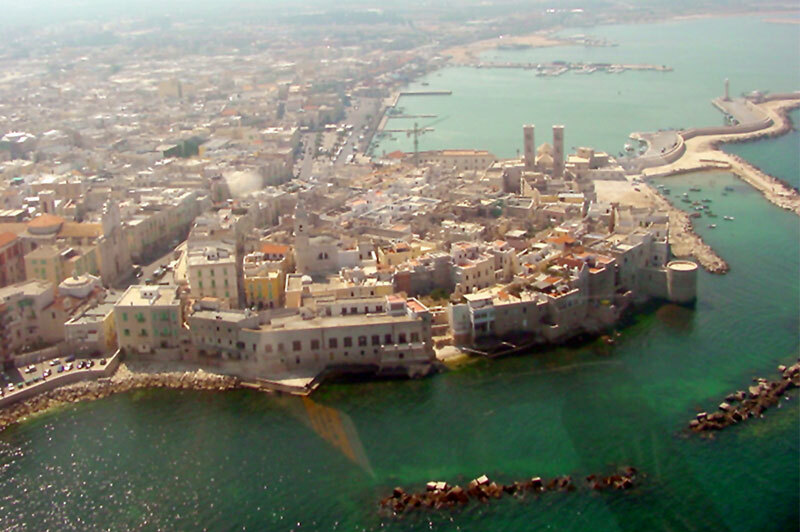 Many different peoples have left their mark on Molfetta: Byzantines, Lombards, Normans, and the Saracens who carried destruction to the town more than once, then also the Swabians with Frederick II who made it a “royal city”, pilgrims who made Molfetta a crossroads on the way to the Holy Land (including Conrad of Bavaria who later became one of Molfetta's patron saints); and then the Angevins, Aragonese, and the French, responsible in 1592 for the “sack of Molfetta” a traumatic event which deeply marked the local people. 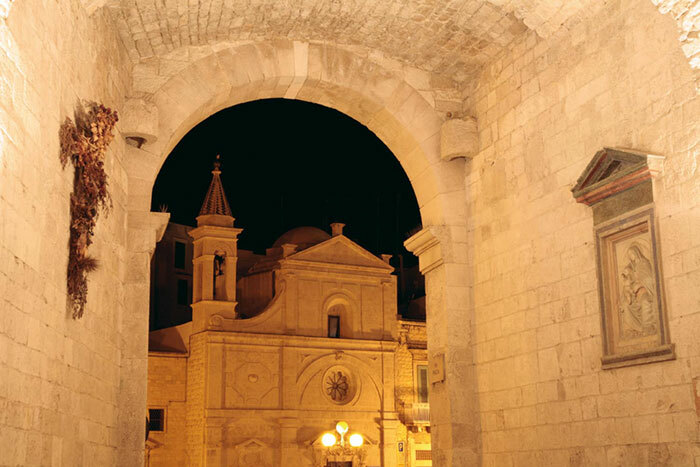 It is a history that crosses centuries and has continually changed the face of the town; a history that even before it became so was prehistory in “Pulo” one of the most representative and emblematic places of the Molfetta territory. This karstic doline about 1.5 km from the centre of the town of Molfetta is the site of important traces of Neolithic settlements, finds that are now kept in the diocese's museum (Museo Diocesano) an important repository for the town's culture which also houses the works of Molfetta's great painters like Corrado Giaquinto, artist to the major European courts of the 18th century. “Pulo” is not only the site of echoing history it is also a place of profound natural beauty along with the surrounding countryside and its olive trees, towers, and farms running along the green blades of land that lead the viewer's gaze unerringly to the sea. the Pulo, the Cathedral, the Ospedaletto dei Crociati (crusaders' hospice), the Basilica Madonna dei Martiri, the old town centre, the Museo Diocesano (diocesan museum).